The seaport city of Seattle is situated on the west coast of the United States. The city today is a commercial centre. The city developed as a technology centre from the year 1980 with major companies being established in the region. New software companies setting up their operations in Seattle has increased the demand for those professionals who have done the CSD certification in Seattle. Knowledgehut offers the CSD training in Seattle and the coaching helps to enhance one’s career prospects. The CSD course in Seattle is a 5-day course and is divided into two parts. The first part of the training focuses on the scrum framework, its principles, rules and ceremonies. This course in Seattle also teaches different ways to work in the scrum environment. 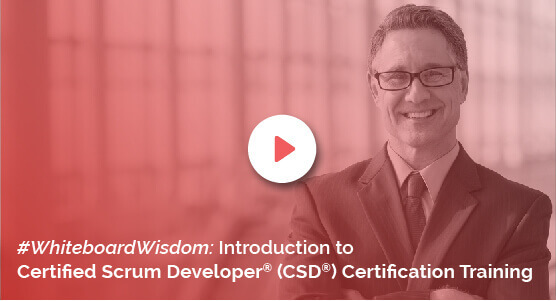 The second part of the Certified Scrum Developer training concentrates on theory and practice sessions on code samples and actual designs. Knowledgehut offers the Certified Scrum Developer certification in Seattle and the workshop is conducted by a trainer to help one grasp the concepts in a practical and clear way. The lectures during the Certified Scrum Developer training in Seattle teach ways to write extensible software by using the object-oriented techniques. The classroom programme conducted by the institute lets one enrol at a very reasonable fee. The academy teaches the basics which helps to put better design alternatives in place. The tutor also teaches the collaborative code ownership. At Knowledgehut, you can learn the CSD training in Seattle through the classroom programme which gives one a thorough understanding of the course. The material used to teach the concepts is very detailed. To know the cost of the course and attend the demo sessions, register you can register on the website.